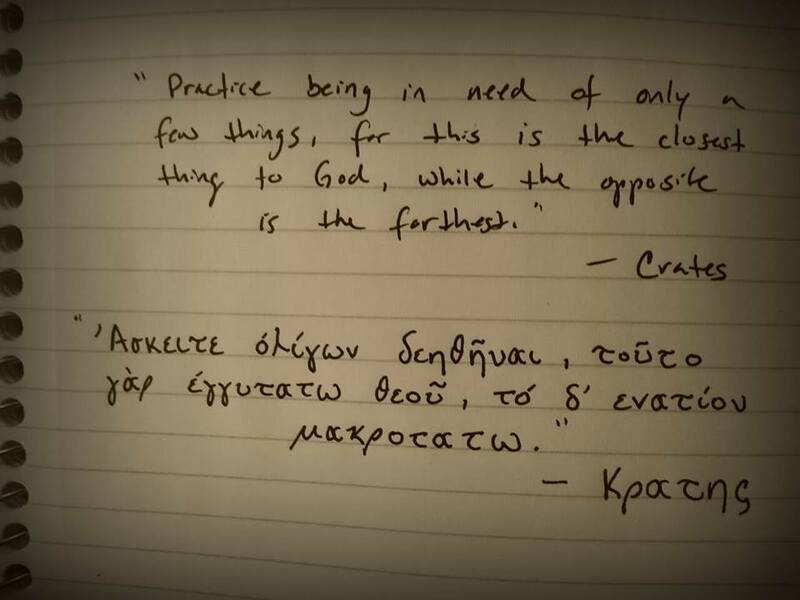 This weekend I started out with a tutor to learn Koine Greek. Hopefully this time next year I can read the classical sources for myself. I think my studies are at the point where being able to read the works in their native language would be helpful. Working in translation is not bad, it got me here. But this way, at least when I’m working with a translation I’ll then have two opinions on the definitions: theirs and mine. As of now, I rely on a “priestly class” of translators to make philosophy accessible to me. Just trying to cut out the middle man. There’s a long way to go to get there, though.